This beef roast has a wonderful taste and is moist and tender. 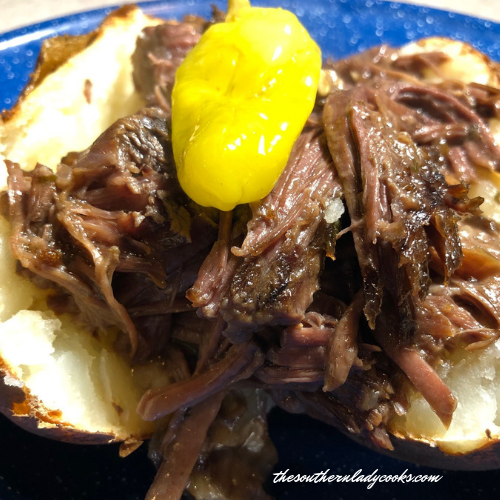 I make this Slow Cooker Beef Roast for my family and they love it. Such a versatile recipe and you can use this roast for many different meals. I love it anytime you can stretch a recipe. Put all ingredients in a bowl and whisk together until sauce is well blended and smooth. Pour over roast in crockpot. Cook on high for 4 or 5 hours or low for seven to eight hours. Serve as main dish with sauce drizzled over meat. Note: This could also be pulled apart and used in tacos or burritos. Makes good sandwiches, too. You could do this recipe in the oven and cook on 350 degrees for approximately 2 hours until roast is cooked to your satisfaction. Enjoy! Don’t Forget to Pin this Beef Roast! Be sure to look on the right hand side of any page and sign up for our newsletter. You will be notified of any new recipes, tips, DIY and items posted on the website. Your e-mail address will not be shared with anyone. Here it is 2016 and I am just now seeing your site. I have the pot roast cooking now. My husband does not like liquid smoke or chili powder. Instead, I am using hickory flavored salt and a hot sauce called “Liquid Summer”. I tasted the mixture before pouring it over the roast & I really think the changes are going to work! I’ll let you know later!! Happy to have you on the site, Rebecca. Your way sounds good. Looks delicious…would potatoes and carrots be good cooked with this? Yes, you could add them Deanna. Thus recipe looks wonderful, but my son is allergic to tomatoes. Could I just omit the tomato sauce or do you think I would need to replace it with something else? Thanks! I have not tried leaving the tomatoes out but I would think you could, Laura. I will try this the next time we make it. Sounds delicious. what can I substitute for the tomato sauce? Anything? Forgot to pick it up at the store. I am in the process of making this Roast rite now for Sunday Supper! Do you really need to add the liquid smoke? I don’t care to use it in any recipe as it gives me heart burn…. No, you can leave it out if you want. I can hardly wait to make this recipe. I have a roast beef and I’m making it in the crockpot tomorrow. I have all the ingredients on hand to do it. Thanks so much for sharing. My first time in your site.. yummy…everything looks soooo good. Don’t know which to try first.. Enjoying everyone of them too! Hubby asking what is the printer going nonstop! This was soooooo good!!! I encourage others to try this recipe!! 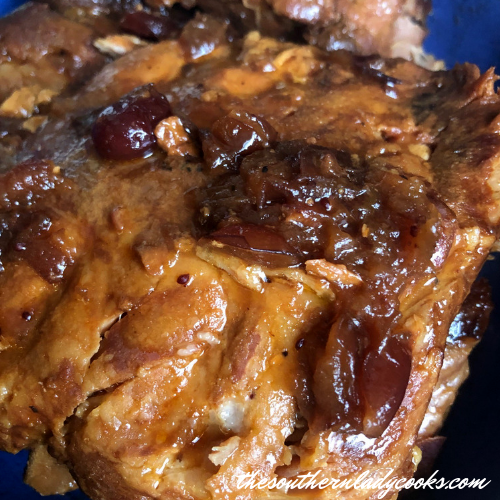 Susan, So happy you enjoyed this recipe and thanks for posting! Judy – this sounds soooo delicious. Beef roast is just about my most favorite meal…along with all the veggies. I’m pinning this and plan to make it one day. MMMMM! No problem. Thanks for coming by and for being a fan. I enjoy hearing from everyone. Doc, That is a boneless chuck roast. That’s what it said on the package. I am not an expert on meats, I just took the butcher at his word. Everytime I visit your blog, I get so hungry! Great recipe. I make something similar but I use different ingredients. I like the ingredients you use though so I may try your version next time.